When french fries are good — meaning crispy, golden brown, and properly seasoned — they are one of life’s great guilty pleasures (or in my case, thrice-weekly addiction). When they are not good — pale, limp, and under-salted — they’re just sad. Fortunately, with the Anova Sous Vide Precision Cooker, the end result is perfection every time. 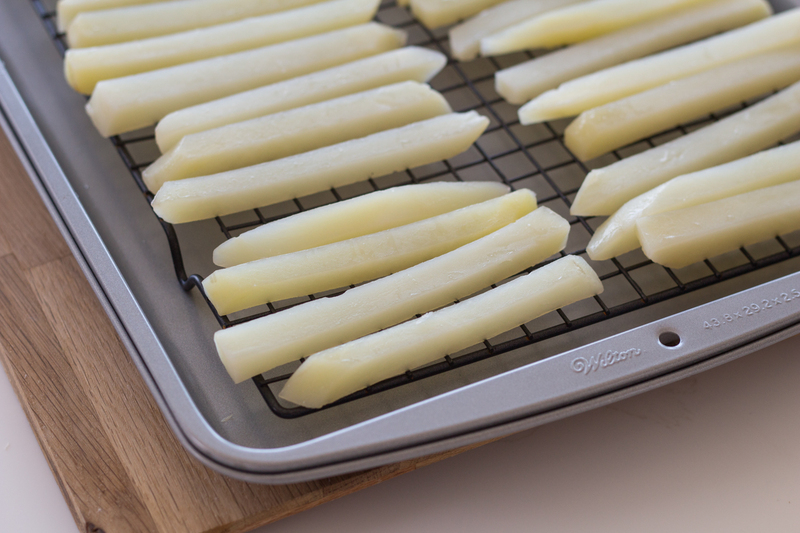 With sous vide, the initial par-cook ensures the fries are evenly cooked throughout and structurally sound enough to stand up to two rounds of frying. With an initial cook sous vide, followed by two rounds of frying, and a few hours in the freezer, the method is admittedly not the fastest way to make french fries, but in our self-proclaimed expert opinion, the end result is worth the wait. These fries are wonderful just simply seasoned with salt and served with a side of ketchup, and downright sublime with a drizzle of white truffle oil, handful of parmesan cheese, and sprinkle of fresh parsley or chives. We say this recipe serves four, but if you’re a true fry fiend, you might find yourself eating the whole batch. Spread fries evenly in vacuum bag, seal, and cook for 30 minutes. Remove potatoes from bag, place in one layer on baking rack, and allow to air dry for at least 10 minutes. In large dutch oven or heavy-bottomed pan, heat oil to 275°F. Make sure you don’t fill the pot too full, and work in small enough batches to keep oil at temperature. Fry potatoes in batches until just beginning to brown, about 7 minutes. Remove the fries from the oil and allow to cool on baking sheet. 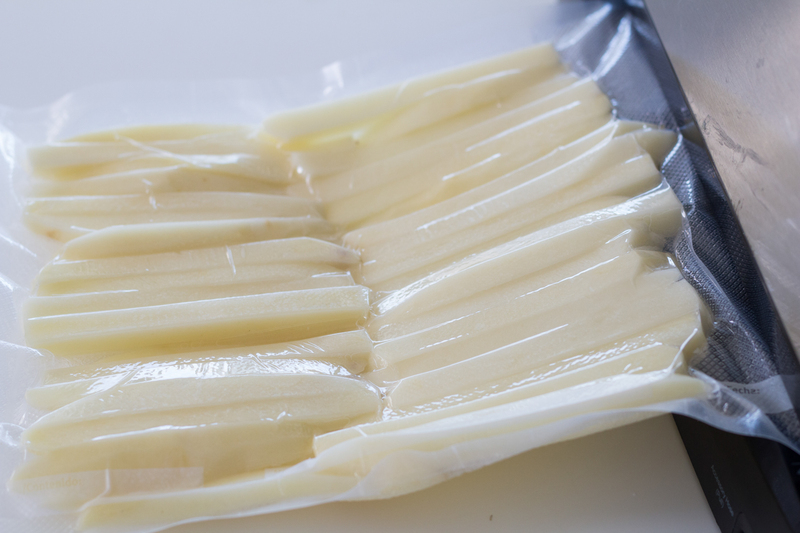 When completely cooled, place french fries in a single layer in a Ziploc or vacuum seal bag. 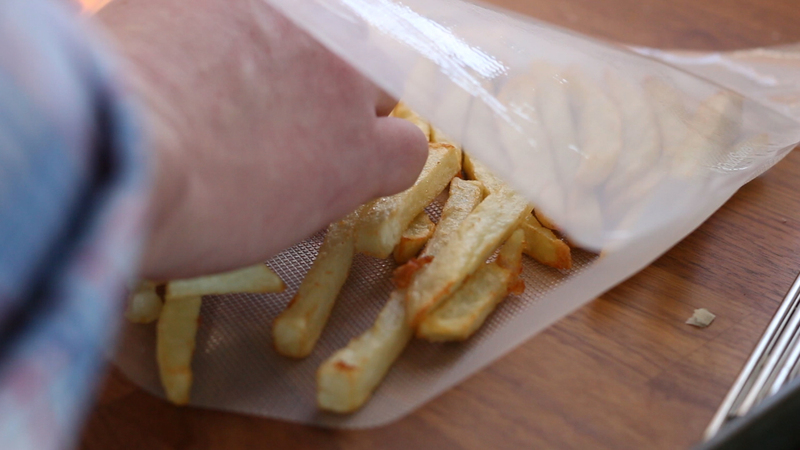 If sealing with vacuum sealer, use gentle setting to keep from compressing the fries too much. Place in freezer for at least 4 hours, or up to two months. When ready to finish, heat oil to 375°F. 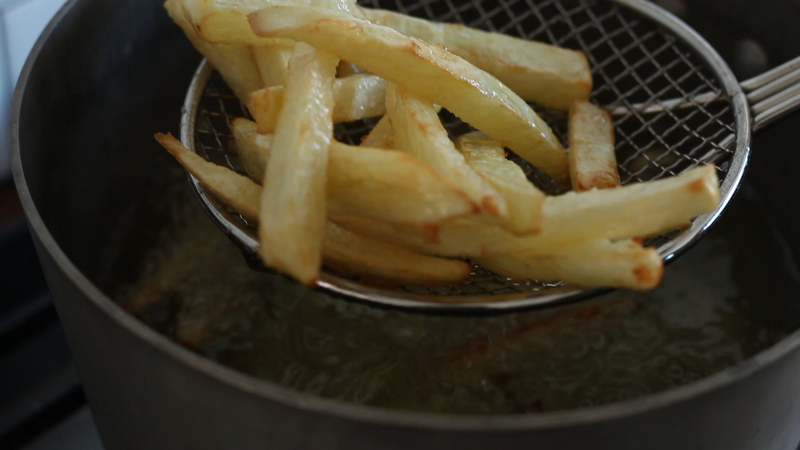 Cook french fries in batches until crispy and golden brown, about 5 minutes. Immediately season with salt and serve.